Pixar may have been hogging the limelight in 2015, but next year it's Walt Disney Animation Studios' turn. Just as Pixar has done this year, Disney will release two films in cinemas during 2016. And very different films they appear to be too. First up will be Zootopia in March. Moana, due in November certainly appears to be the more conventional of the two, on paper at least. Although being touted as the next Disney princess film the Polynesian period setting (it takes place some 2000 years ago) promises to make it unique. 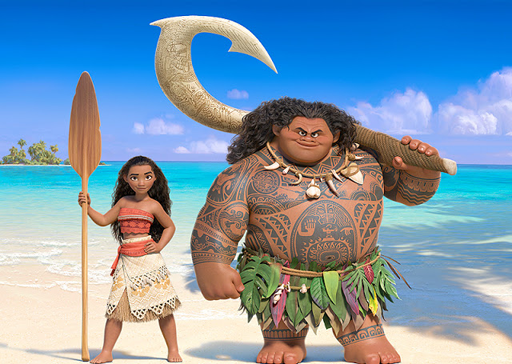 Disney has now released the first official image of Moana herself, alongside tattooed Demi God Maui, who will be played by the appropriately tattooed Demi God-like Dwayne Johnson. 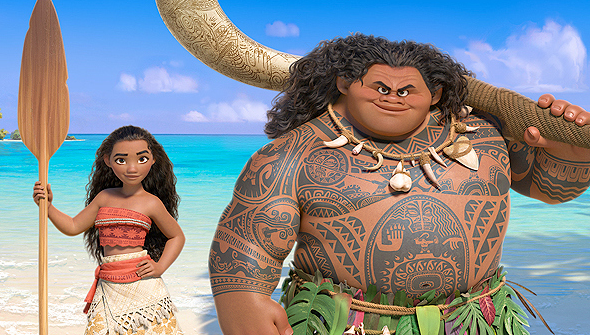 Not only that, but Disney have announced that Moana has found its voice. The lead will be played by unknown Auli’i Cravalho- a 14-year-old Hawaii native. Some concern has been voiced over how well Disney would handle the culturally sensitive elements of the setting. This casting should hopefully go some way to allaying such fears. Moana is directed by veterans Ron Clements and John Musker and will be released November 23rd 2016 in North America.